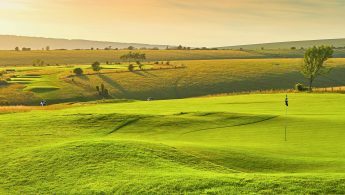 Goodwood has been at the forefront of international sport for generations through its racecourse, motor racing circuit and is now fast gaining a comparable reputation for the quality of its golf. Situated on the stunning, unspoiled Sussex countryside on the 12,000 acre Goodwood Estate. Golf At Goodwood is just an hour from London and boasts two championship (see The Park Course overleaf) 18 hole courses. 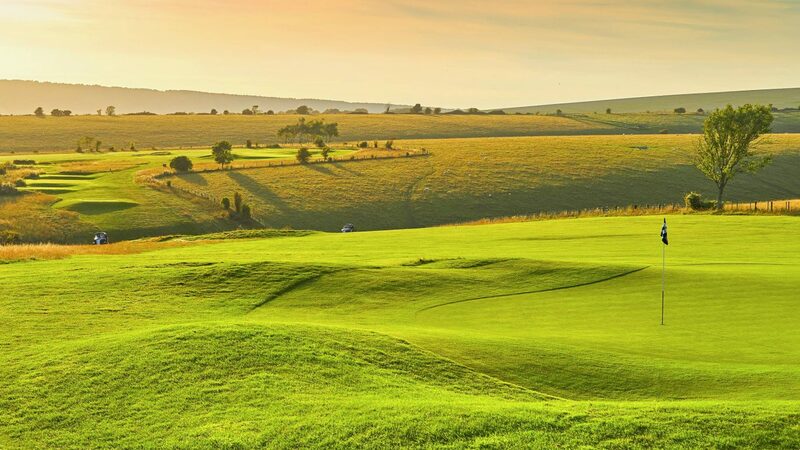 Ranked in Top 100 English Courses, the Downs Course rises steeply from the clubhouse, The Kennels, up towards Goodwood Racecourse perched high on the South Downs and gives golfers incredible views of Chichester Cathedral, down to the Isle of Wight and the sparkling Solent beyond. 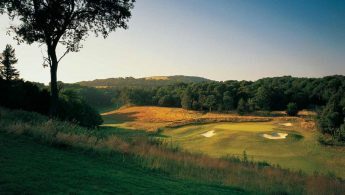 Designed in 1914 by legendary golf architect, designer of Gleneagles and Carnoustie and five times winner of the Masters Championship, James Braid, The Downs course is often referred to as one of the finest downland courses in the UK and features tricky doglegs and long sweeping greens which are both a treat and a challenge to true golf fans. 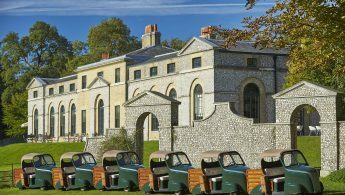 Designed by James Wyatt and built in 1787 to house the Duke of Richmond’s prized hunting hounds, The Kennels is the central clubhouse for all of the estate’s clubs. 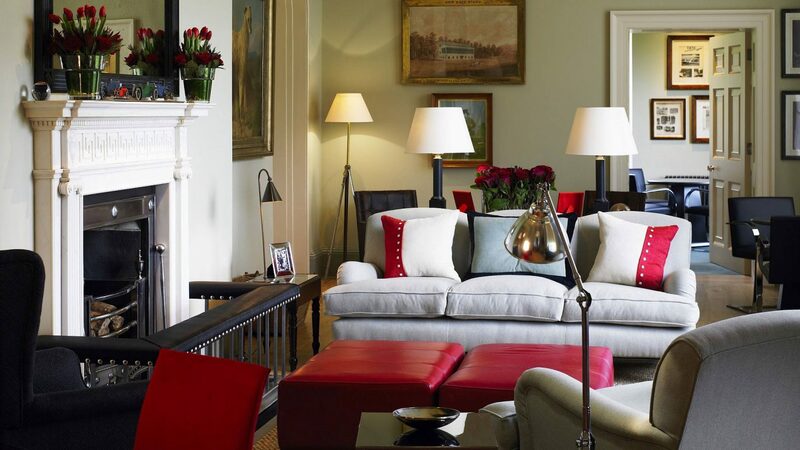 Described as a ‘Feast for the Senses’, this inviting private members’ club is stylish and welcoming – with modern comfortable interiors, reflecting Goodwood’s eclectic British style. Choose from a variety of group and society packages on The Downs courses at Goodwood for up to 100 golfers, all of which can be tailored to meet your specific requirements. Once you are all golfed out, enjoy a delicious meal in The Kennels. Packages available from £62pp. Goodwood is located just outside Chichester, only 60 miles from London, and is easily accessible by road, rail or air. For those travelling by train, Chichester train station is just a short journey away and transfers can be arranged. Parking is available at both courses. The Goodwood Hotel is the very essence of British style offering elegant guest rooms exuding the sort of character, charm and striking period style that help provide a golfing break to remember. 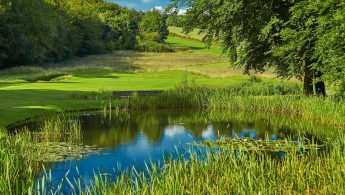 The Golf At Goodwood Academy The Golf Academy at The Park boasts both open and undercover Huxley driving range bays, a 6-hole par 3 Academy Course, putting and chipping green along with a SAM putting studio, private coaching rooms, a high performance studio and Trackman. Away from golf, you can enjoy an exhilarating driving experiences at the historic Motor Circuit, savour Estate reared produce at the three restaurants, take to the skies with a flight experience or perhaps try your luck at one of the world’s most beautiful racecourses. Pamper yourself with a selection of relaxing treatments at the luxurious Spa.